Phishing is the fraudulent practice of sending emails purporting to be from reputable companies to induce individuals to reveal personal information, such as passwords, credit card numbers, and other personal data. Phishing has become a widespread problem across all industries, as it is relatively easy to pull off. They are the most prevalent form of cybercrime, and most are designed to steal money. 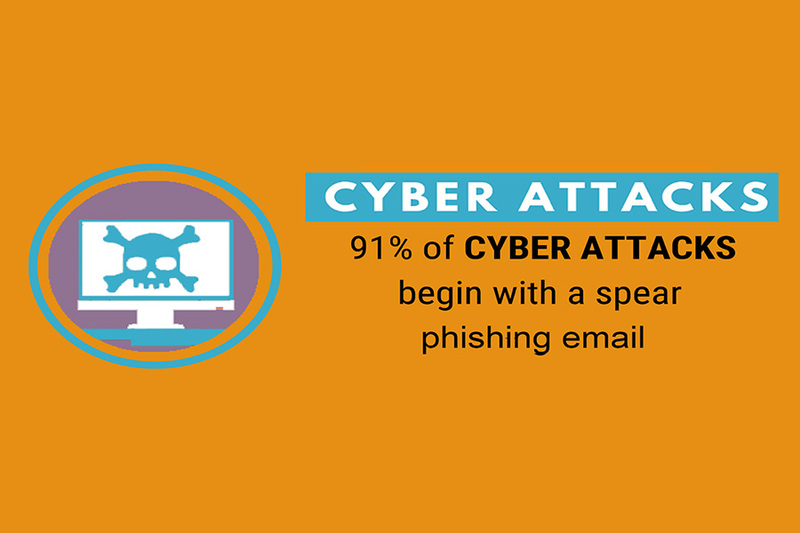 The average cost of a phishing scam for a large company is $3.7 million. Urgent Action Required: many phishing attacks will format the email to look urgent and encourage the recipient to act quickly. Take caution to any email that claims to require fast action. Fraudulent Links: The address displayed on a link is not always accurate and could take you to a fraudulent site. Urge employees to hover over a link in an email before clicking to see the directed web address. If the final destination URL does not match the address displayed, the employee should not click the link. Basic Greetings: Many phishing emails are sent out to large numbers of people and are, therefore, impersonalized. Often, they use generic greetings and don’t include names. Networks Unlimited offers user awareness training to ensure your employees are knowledgeable about how to defend your company’s data. Our user security training includes online training to all employees, monthly newsletters, tips and tricks to combat phishing attacks, and quarterly phishing of employees and reporting. Click here to learn more or contact us today to get started!